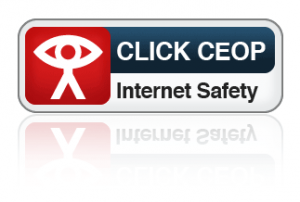 If you feel you need to report something to the Police (CEOP) about somebody’s actions on the internet, please click the CEOP logo. The influence of technology on children is rapidly increasing. With tablets, smart-phones, games consoles and televisions offering increasingly easy access to the internet, the importance of e-safety is rising dramatically. 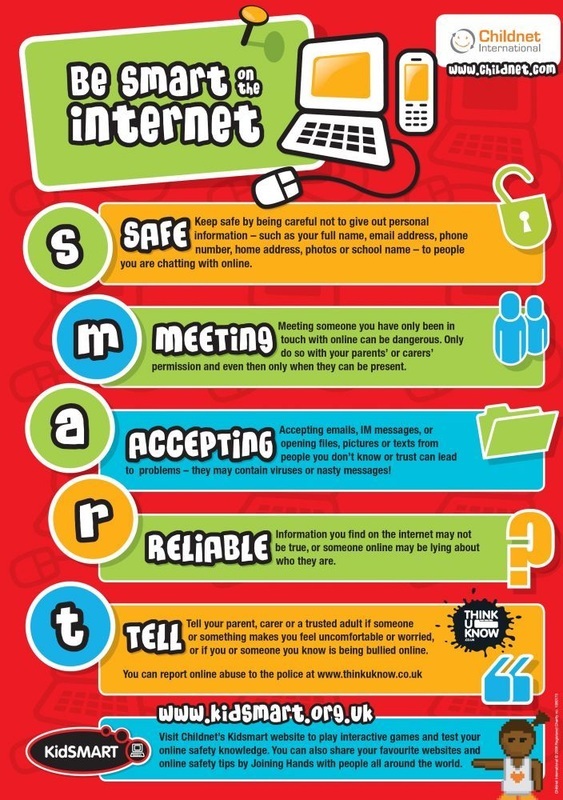 We base our e-safety message around being SMART. 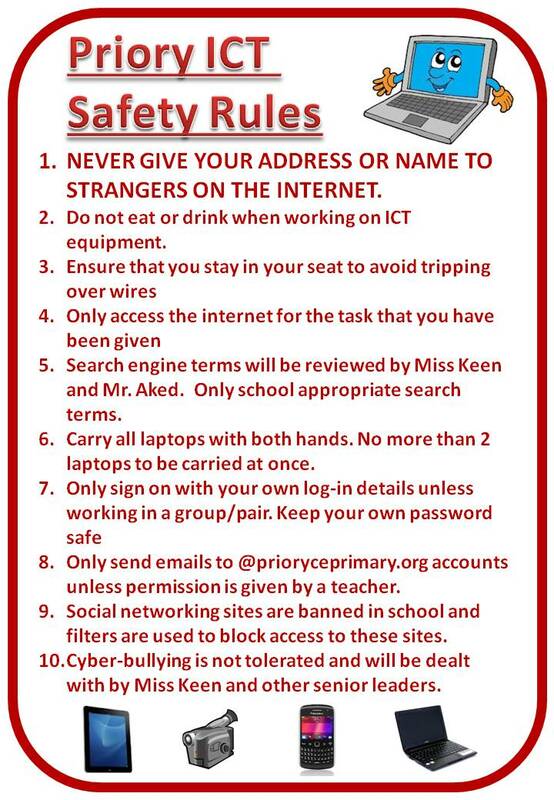 At Priory, we encourage all children to use the best practice on the internet. 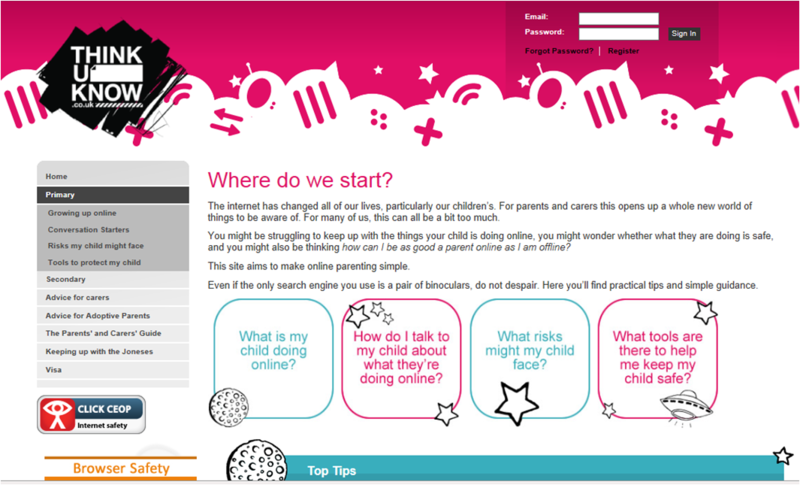 Children are taught to use the internet correctly, how to deal with pop-ups, phishing emails and unwanted contacts on the internet, as well as the best practice with passwords and confidentiality. You can take a look at our ICT safety rules for Key Stage 1 and Key Stage 2. Cyberbullying is dealt with in zero-tolerance manner. Any instances of bullying through social media, email, sms messaging or other means will involve the usual consequences applied within school. Each child is given a log-in and password for their Priory email account (from November 2014), as well as individual passwords for Bug Club and My Maths. If you are unsure of these, your child’s teacher will have a secret question hint to help your child recall the password. 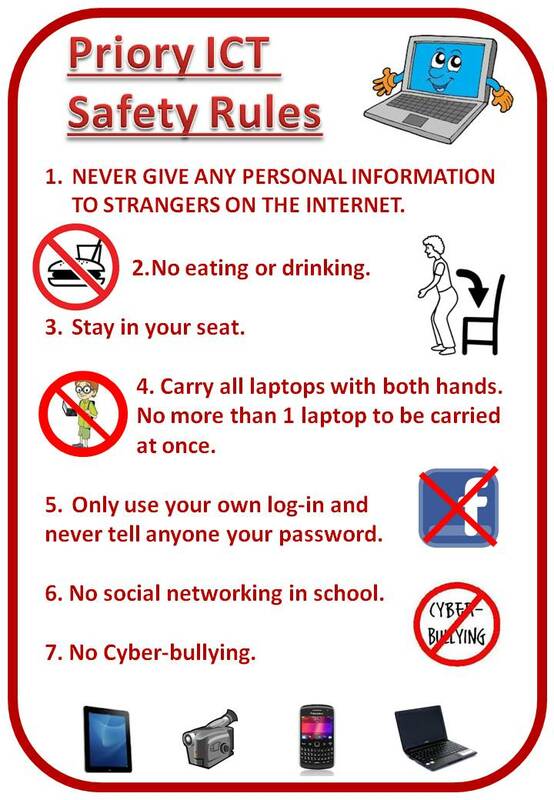 Here are some helpful links to help educate your child in the safest ways to use the internet. They also give helpful hints on ways to protect your computer equipment at home. We survey and assess the Key Stage 2 children’s knowledge of e-safety best practice each year and any concerning trends within this will be communicated to parents. Only 50% of the children reported that they discuss their use of the internet with parents – open and positive dialogue between child and parent is essential in maintaining a safe and happy use of the internet. Around 30% of children in Upper Key Stage 2 reported that they play computer games of an inappropriate level. Games such as Call of Duty, Assassin’s Creed were being regularly reported. These games are extremely violent and we strongly urge parents to avoid allowing their children access to these.